To mark its tenth anniversary, Willowdale Estate partnered with Vervaine Design to create a refreshed and connected brand experience. This included a customizing a theme for their WordPress website, which is where Paragon came in into the project. Since Willowdale already had a WordPress website, we needed to create a new custom mobile-friendly theme for the designs. Adding to the project, we needed to preserve the connection points of the website with their custom CRM. The newly themed website integrates seamlessly with the existing WordPress website. Their website now showcases the luxurious venue and the hospitality extended by the Willowdale team. Close attention was paid to ensure the mobile experience is just as impactful as it is on bigger screens. 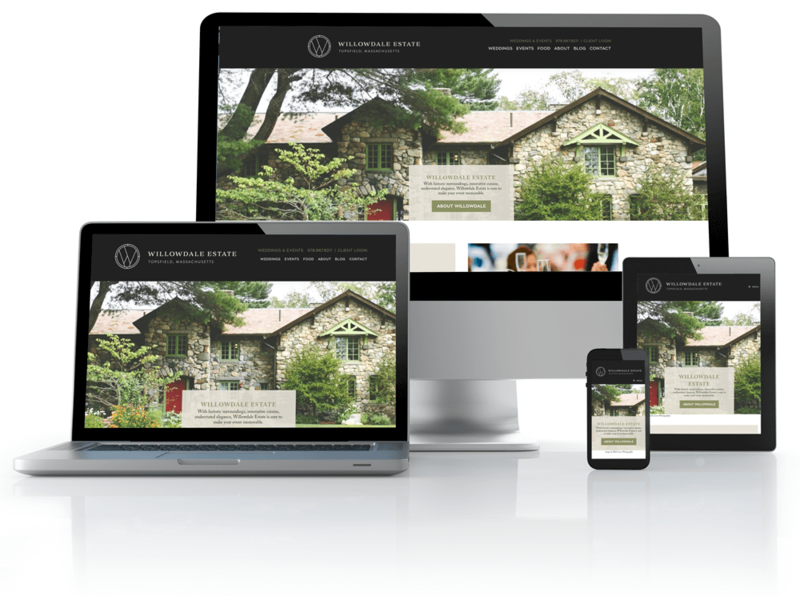 We also created the website for their sister property Briar Barn Inn.